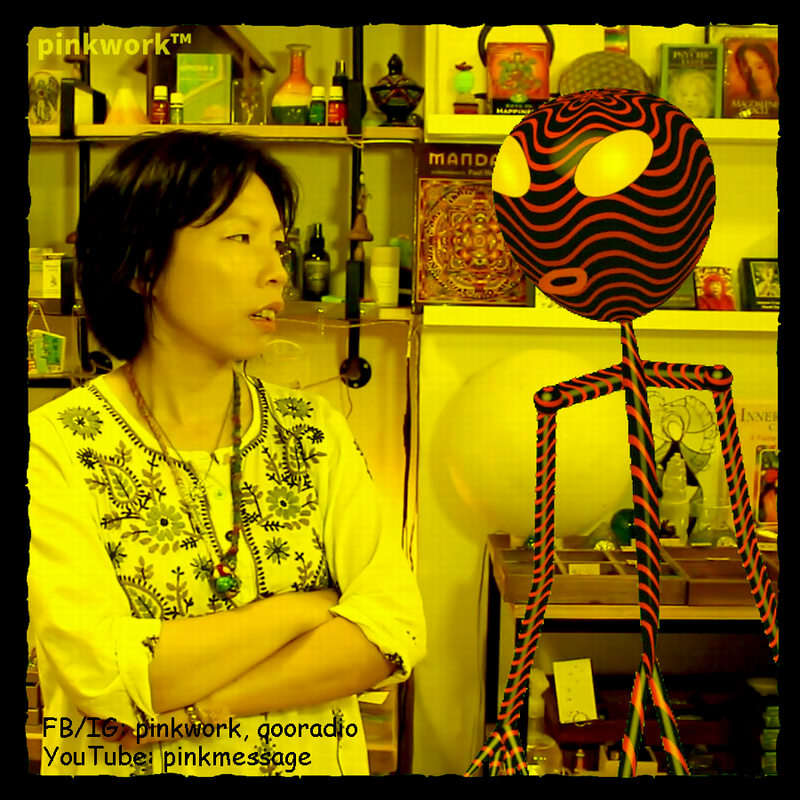 ✹✹ My creator ~ pinkwork™ extraterrestrial just ordered ME, an Intelligent Robot to "abduct" its human friend ~ Hong Kong 香港 Radio personality / celebrity spiritual healer 夢妮妲 Dreamonita to shoot a recently much-hyped 新潮流 ASMR ( Autonomous Sensory Meridian Response ) video. In Chinese, this term is translated as 自發性知覺高潮 , 自發性經絡反應, 顱內高潮, 大腦按摩 , etc..
Oh, Humans like to invent some weird terms to make simple things sound more professional or scientific. 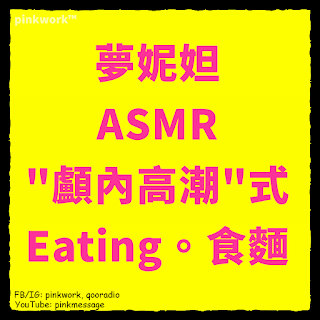 For my creator, ASMR just means "whispering" into a camera or making soft /crunchy sounds, such as eating, brushing hair, folding towels, etc. 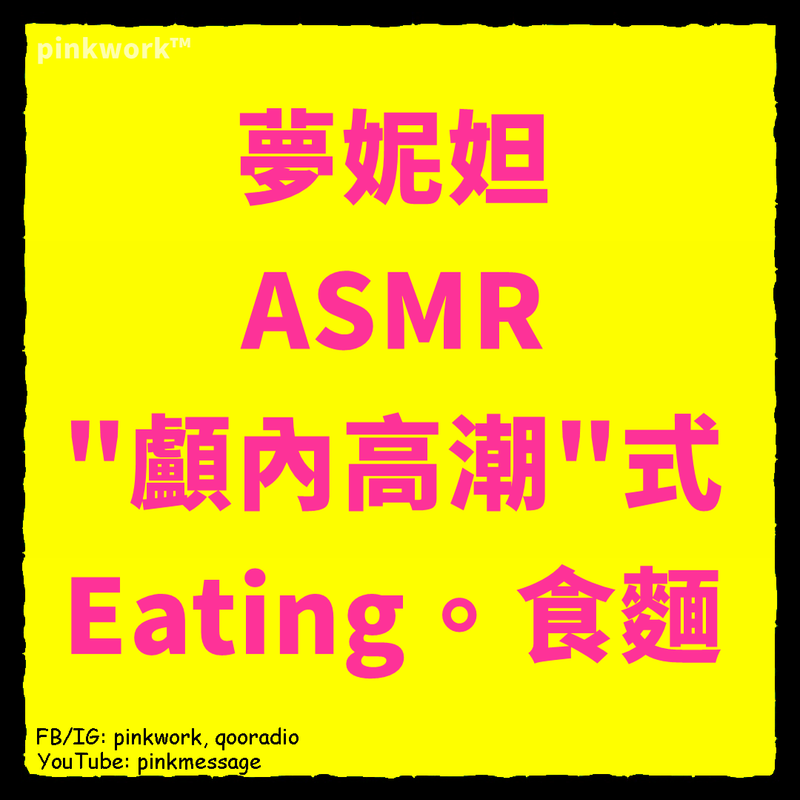 Some people say watching these videos has relaxing or even "brain orgasms" 顱內高潮 feeling, though there was still little scientific evidence to prove this phenomenon. SEE, Monita is tasting a bowl of Cantonese fish slice noodle 魚片麵 plus deep fried fish skin 炸魚皮 in ASMR style. Near the end of this video, Monita will chat with me and explain in details What's ASMR? 甚麼是「自發性知覺高潮」？.